UPDATE: Environmental, health, justice organizations from across the nation have joined us to express alarm about the lack of ingredient transparency, and toxic chemicals, in Summer’s Eve products. We have a new name for Summer’s Eve – Summer’s Deceive. Summer’s Eve is a popular feminine hygiene brand that markets wipes, washes, and more as “must-haves” for both health and self-image. They capitalize on the blatant and absurd underlying message that vaginas are dirty and in need of cleansing. What’s worse: with names like “Sheer Floral” and “Island Splash” feminine wipes may sound refreshing, but they could contain hidden toxics. WATCH and SHARE the spoof ads below that call out harmful marketing and toxic ingredients in Summer’s Eve feminine wipes. Then TAKE ACTION and tell Summer’s Eve: Toxic chemicals and body-shaming are not ok! 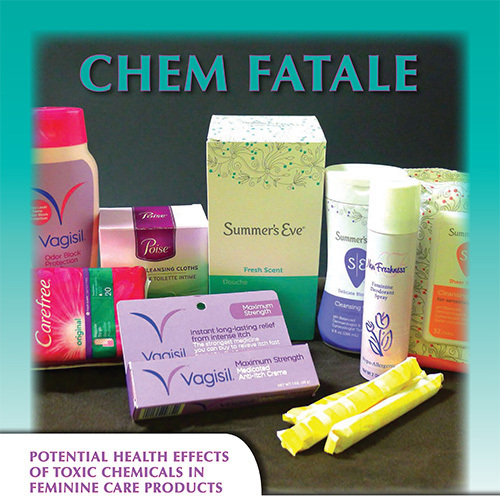 Did you know that some Summer’s Eve feminine wipes contain a spermicide? SHARE NOW on Twitter and Facebook. 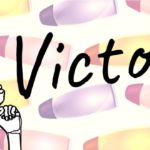 Summer’s Eve: we’re sick and tired of being told our bodies are dirty. And we’re not falling for it. Tell Summer’s Eve that hidden toxics and body shaming are not ok! Use of feminine wipes is on the rise largely due to stepped up marketing by brands like Summer’s Eve, which promotes feminine wipes as a ‘must-have’ for both health and self-image. 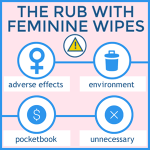 The chemicals used in their wipes products, however, belie marketing messages that tell women they need wipes in order to feel fresh, clean and confident. Octoxynol-9 is a potent contraceptive drug that effectively kills sperm. However, wipes containing octoxynol-9 are not considered contraceptives, nor are they required to have any caution labeling to their potential effect on a woman’s fertility. 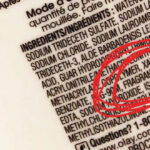 2-Bromo-2-Nitropropane-1,3-Diol and Iodopropynyl butylcarbamate (IPBC) are preservatives used in several Summer’s Eve wipes, including one product labeled ‘Simply Sensitive.’ 2-Bromo-2-Nitropropane-1,3-Diol releases formaldehyde, a human carcinogen. Exposure to formaldehyde can cause allergic reactions for those who are sensitized to it. 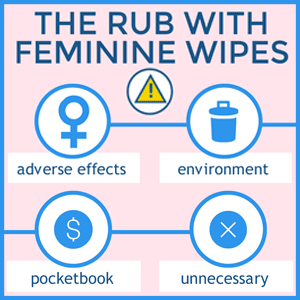 IPBC is also a well-known skin allergen, making the use of feminine wipes containing these chemicals a painful experience for many women. Fragrance is used in all Summer’s Eve feminine wipes, but labels offer no fragrance ingredient information. 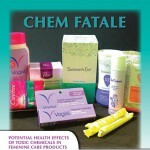 Instead their website only lists ‘Clinically Tested Safe Scents’ as one of the benefits to using their wipes products. This is vague marketing language that fails to provide women the ingredient information they need to make their own purchasing choices. Fragrance can be made up of potentially hundreds of different ingredients, many of which are linked to serious health problems from skin irritation to hormone disruption and breast cancer. Neutresse®, a trademarked odor-control technology used in many Summer’s Eve wipes. It is the only feminine wipes brand that has such technology, and like fragrance, the ingredients in Neutresse are also withheld from consumers. Women of color are disproportionately impacted by the harmful and unwanted chemicals in feminine wipes. Data compiled by the National Health and Nutrition Examination Survey (NHANES) indicate that Black and Latina women use wipes, douches, washes, and sprays at higher rates than white women. Companies continue to market feminine products more aggressively to women of color, putting their health at heightened risk of toxic exposures and adverse long-term health impacts. Bottom line: Taking care of your body shouldn’t put your health at risk! Raise your voice and demand that Summer’s Eve remove toxic chemicals from its feminine wipes and come clean about all ingredients, including fragrance and Neutresse®.